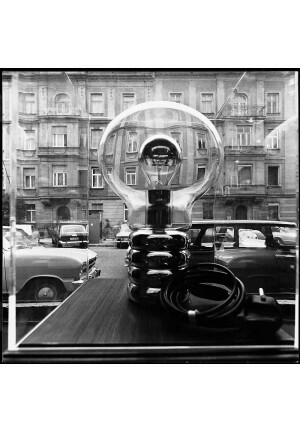 The Ingo Maurer Bulb was designed in the year 1966 and already incorporated in 1969 in the permanent design collection of the MoMa (Museum of Modern Art) in New York. As a timeless, simply elegant design classics, this light is still today a styling element in many modern facilities. Even today, this lamp is one of the most important works by Ingo Maurer. The base of the Bulb is made of high-gloss chrome-plated metal and the shade is made of mouth-blown crystal glass of Murano. A top-chromated LED with 8 watt power is included. Even a top-chromated high-voltage halogen lamp with a maximum power of 100 watts can be used as a light source. The cable of the table lamp has a length of 200 cm. 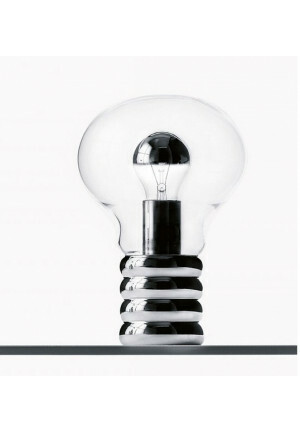 Ingo Maurer Bulb – Your design lighting shop for Ingo Maurer Bulb lamps – buy Ingo Maurer Bulb lamp-series online at Wunschlicht.